Ramblings: "It's not you. It's your ship"
This is turning into one of my more active months since I started playing. Halfway through August and I've been involved in a lot of fleets. The killboard does not reflect this activity. Such as last night, when during a rather frantic moment I dropped fleet so that someone else could join fleet because we had a squad issue and their ship was more important to the immediate fight than my own. It's kind of like dressing for a party, preparing for a fleet op with preset doctrines. People start to trickle on and everyone settles into the station. Fits flick back and forth and trade windows open and close as everyone changes and adjusts themselves to what they need to do. If it is a planned fleet there is a plan. There is a fleet doctrine. There are goals inset upon the basic agenda. That agenda, as it is every night, is to destroy spaceships. And the adrenaline. When a fight is about to go down and the shakes hit. I find that I don't get adrenaline rushes constantly these days but when about to jump into a fight they often hit. And as coms plots and plans everything levels out into what we are doing. "Kill the Sleipnir. Point the logi. Push the Falcon off the field." In all of the fighting and all of the shooting more often then not it is not personal. When watching Vov enrage the locals the other day I was struck by the highly personal way that people took it. I am not saying that they should cheer that they were ganked. It is unpleasant to be ganked. What I often see, in the tear dripping rage, is that it is taken personally. PvP is often not personal. It can be. We were discussing killing FCs yesterday. And many, many groups fight for reasons and goals that are personal to their corporation or alliance if not themselves. But, I speak of much of PvP in general. While there are people who have targeted particular pilots or groups, a lot of low sec PvPing is about killing that Hurricane/Drake/Talos/Hawk/etc. I wrote about Diz and Naoru receiving linguistically mangled rage soaked eve-mails from a player who's ship they had destroyed earlier that evening. I know that soft words and coherent explanations will not help someone actually feel better because we didn't care who they were when they were exploded. Even when going after a group with a more basic intent, it is often because they are an opportunity more so than an actual desire to harm said group. Just as people come into low sec to go 'pvping in low sec' as their corporation states that they offer. While they are trying to find pirates they are not looking for me to satisfy their explosion lust. It rolls back to why we gank haulers. Because they are there. Because we can. Because it is what we do. Among some of the pirate bloggers there has been a discussion flowing around about what is a pirate. Many of the Eve pirate community as small gang and solo PvPers. They do not consider themselves pirates. Some do. Some do not. It is a somewhat personal title. I gave it to myself for instance but under most hands I would not qualify as a pirate. The game mechanics identity many of us as outlaws. We are not interested enough in PvE to maintain a high security status without an exterior motivator. It was Uber’s kill. He has called in assistance to make sure it dies. It is his call to ransom or not. He was not interested and said carrier died. But the offer of the ransom set the sludge of my mind moving. I have been involved in a ransom or two. 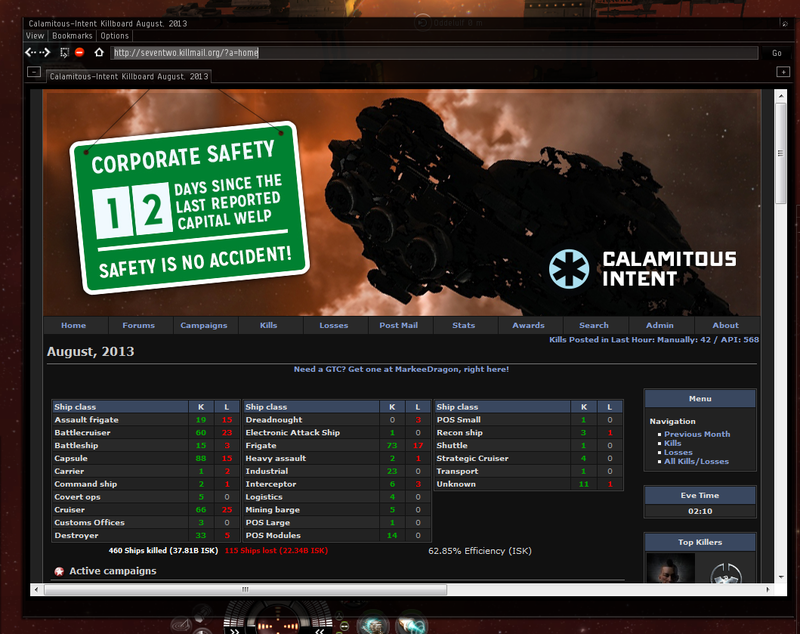 Normally, we take the ship vs ISK. It isn't often. It isn't something I think of. When I dive into the fight it’s to live or die but someone is leaving as an explosion. It is a wanton indulgent quest for a fight. We may be pirates. Or anti-pirates. Or day trippers. Or just PvPers. But all of the labels in the world will not cover the berth of reasons why and how people PvP. And sure, it is personal. It is personal to the PvPer. Two people in glorious sync who fight well togehter or against each other may have incomprehensibly different motivations for why they are doing the exact same act. I cannot explain to some people the warmth and pleasure I get at dressing up for a fleet. Someone will always whisper, "The solo kills are the best". My tastes may change. I may one day agree with that. But even then as I venture out into the honorable land of solo PvP, I will be after the persons ship. Becuase most of the evil creeping of piracy isn't personal. Even if they want you the chances are they want your ship. Some people distinguish themselves as an individual. Some always will. But at the end of the day if you ask people who they killed when out on a roam, they will say, "Drake, Harpy, Ibis, Cynabal, Typhoon." They will recount the fights and sum up the battles and unless an individual has managed to stand out, who they are will never be noted. LOL @ the KB banner. "Just as people come into low sec to go 'pvping in low sec' as their corporation states that they offer. While they are trying to find pirates they are not looking for me to satisfy their explosion lust. It rolls back to why we gank haulers. Because they are there. Because we can. Because it is what we do." 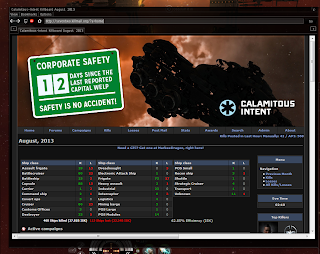 I laugh that those same corporations that offer the occasional "low/null sec roam", are also the same people that complain about ganking. If they have the right to come into low/null looking for a fight, we most definitely have the right to head into high and return the favor. I never thought of it in that light but the man's pretty much righ.